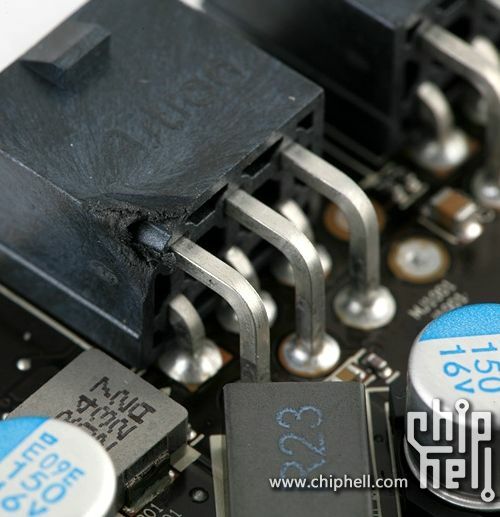 This is not a fresh news, but I just read this story on Xtreme Systems forums and I can’t believe it: the 8-pin (on a HD 6970) or the 6-pin (on a HD 6950) power connector of all current AMD Radeon HD 6970/6950 has been modified, adjusted by hand. Why? 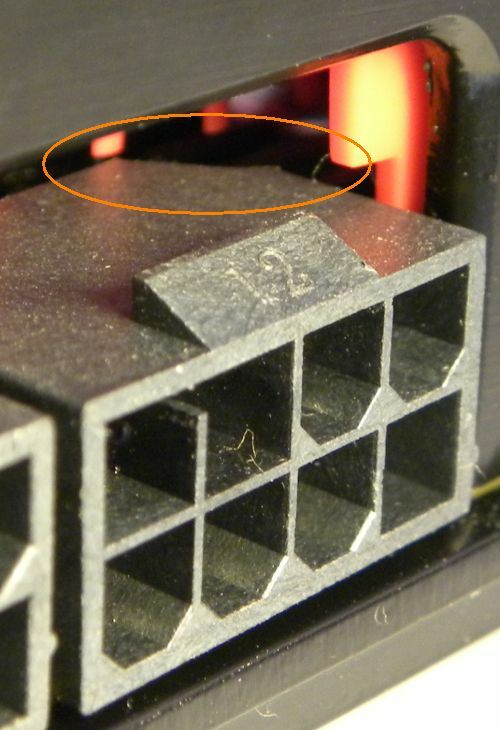 Because if you don’t remove this corner (see the pictures), you wouldn’t be able to mount the VGA cooler. Then AMD has been forced to polish every card by hand… How such an error is possible? It’s just incredible! What do you think guys? Is it really possible? Of course, this corner tweaking has absolutely no impact on the working of the cards! But it’s still funny to read such kind of stories. In all honesty, the fact that most 6950s 2Gb unlock to 6970s, is much more unbelievable by itself. I can imagine the team had to put together a prototype before mass-production. I mean if the cooler won’t fit on the final product of mass-production, it should have problems fitting on the prototype also. WTH… Were they high or something? If this was true, I think the assembler realizes that make this job by hand will be less expensive then using machines.